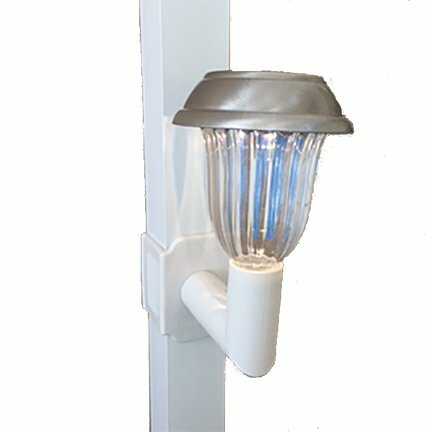 Brightness 5 LUMEN, Solar Lanai Light for those who want an accent or ambient light for a few hours in the evening around the pool cage or screen enclosure. The bracket rotates so it can be mounted on the vertical or horizontal post. Installs in seconds with our "Patent Pending" clip on bracket. If a brighter light is needed we suggest our 10 or 20 Lumen lights. Please make sure your post width is 2" before purchase. Installs in seconds.Mount on Verticle or Horiontal Post. If you have any questions about this product by Solar Lanai Lights, contact us by completing and submitting the form below. If you are looking for a specif part number, please include it with your message.